Madras high court has directed the state government to take immediate steps to implement laws relating to transportation of cattle. 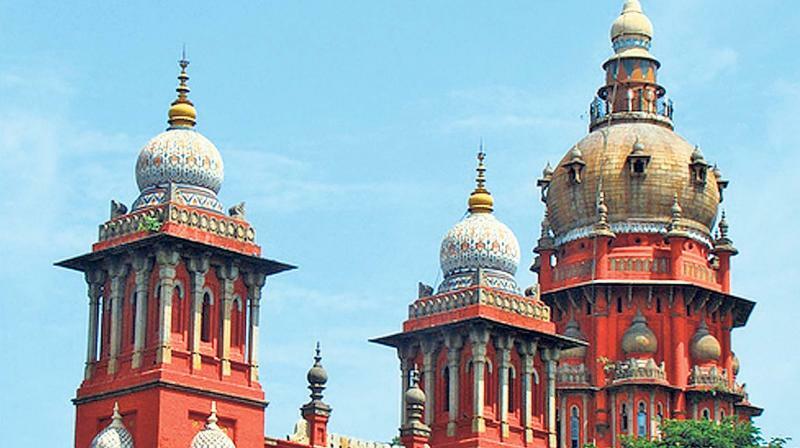 Chennai: Coming to the rescue of cattle, which are subject to cruelty and illegally transported in lorries, Madras high court has directed the state government to take immediate steps to implement laws relating to transportation of cattle. Justice M.V. Muralidaran gave the directive while dismissing a petition from Mohammed Shabek and five others, which challenged an order of the judicial magistrate, Erode, refusing to grant custody of 54 cattle, which were illegally transported in lorries and their custody was handed over to a Goshala in Coimbatore. “This court, taking into consideration the cruelty to which the cattle are subjected to, directs the chief secretary of the government of Tamil Nadu and the authorities concerned in the animal welfare department as well as the transport department, to ensure that these laws do not remain mere paper tiger. They should take immediate stringent steps to give life to law and teeth to the provisions for fulfillment of the soul of the said enactments,” the judge added. The judge directed the Registrar General of Madras high court to issue circulars to the lower courts in the state to take note of these provisions and to deal with the cases in proper manner and the offenders should be punished properly for violation of the provisions of the Prevention of Cruelty to Animals Act and the Motor Vehicles Act relating to transportation of cattle too. The judge said it was pertinent to note that even though the Central Motor Vehicle (Amendment) Act was passed in 2016 stating stricter rules shall be applicable for the transportation of animals, it has not been effectively implemented. As per the Act, vehicles carrying animals should have permanent partitions to enable the transportation of animals individually in each partition. The amendment further specifies that the size of partitions should not be less than 2 sq.m. for cows and buffaloes, 2.25 sq.m for horses and mares, 0.3 sq.m. for pigs and 40 sq.m. for poultry. However, transporters were flouting rules by overloading their vehicles with animals as there was a possibility of them sustaining injuries and transmission of disease. The government had passed the amended Motor Vehicles Act, but it does not have mechanism to monitor vehicles not adhering to rules. Thus, the amended Act remains restricted on paper due to poor implementation. The Regional Transport Officer to inspect the make of the vehicles before issuing permit and they should effectively implement the rules of the Central Motor Vehicles (Amendment) Act, the judge added. Pointing out that the cattle were kept in lorries and jam packed with tarpaulin covering, the cattle necks were tied closely and chilli powder was sprayed in their eyes, the judge said in this case, if the custody of the cattle was again given to the petitioners, there was likelihood of the cattle being subjected to further cruelty. “I find that the petitioners have transported the cattle illegally without following the rules and regulations. The cattle were being transported continuously from district to district without even providing fodder or water. The transportation was done in total violation of the legal provisions,” the judge added.